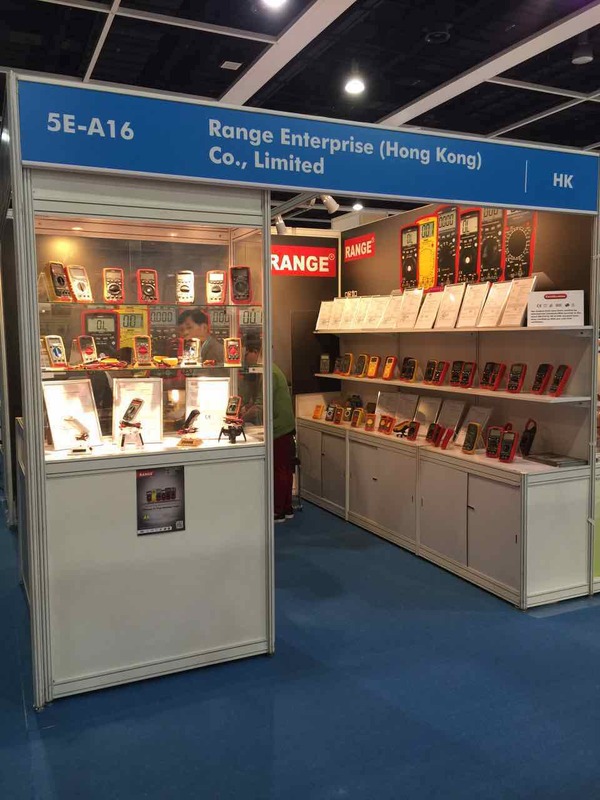 Range Digital Multimeter participated the Hong Kong Electronic Fair (Autumn Edition) which held on October 13th to 16th, 2015 at Hong Kong Convention and Exhibition Centre. We demonstrated our innovative product design and functional features on Digital Multimeter, Digital Clamp Meter, Electrical Tester, test Leads and OEM/ODM capability, etc. we also demonstrated a series of new design products which AUTO series, RE838 series, Basic DIY series etc. Attracted a large number of visitors to consulting it. The exhibition was a great success. 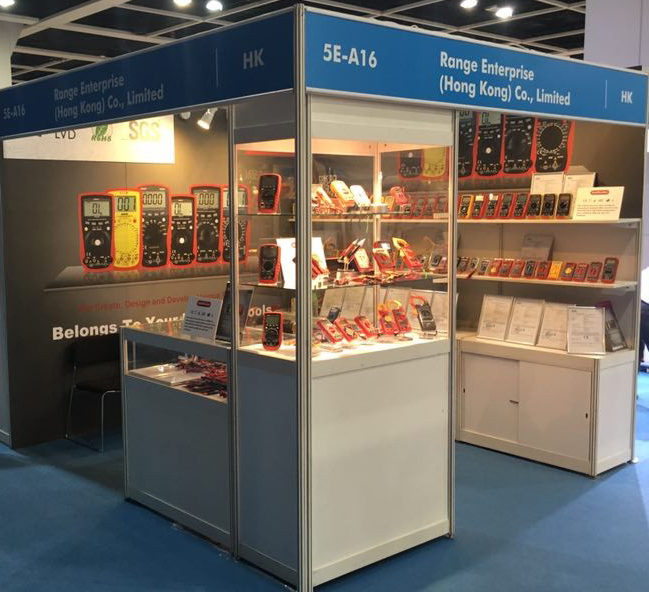 Range Digital Multimeter participated the Hong Kong Electronics Fair (Spring Edition) which held on October 13 to 16, 2013 at Hong Kong Convention and Exhibition Centre. Range Digital Multimeter demonstrated new CE Certified Multimeter series, DIY series. The exhibition was a great success in demonstration of our new design products with new technology. Range Digital Multimeter participated the Hong Kong Electronics Fair (Autumn Edition) which held on October 13 to 16, 2012 at Hong Kong Convention and Exhibition Centre. 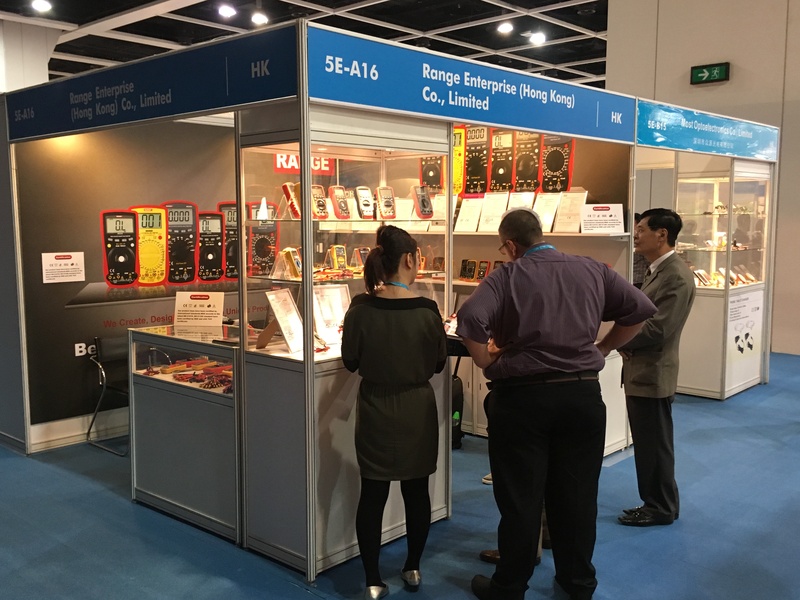 Range Digital Multimeter demonstrated its innovative products, Digital Multimeter, Digital Clamp Meter, Electrical Tester, test Leads & OEM/ODM capability, etc., It also demonstrated a series of products with new design and new technology. The exhibition was a great success. Range Digital Multimeter participated the Hong Kong Electronic Fair (Autumn Edition) which held on October 13 to 16, 2011 at Hong Kong Convention and Exhibition Centre. We demonstrated our innovative product design and functional features on Digital Multimeter, Digital Clamp Meter, Electrical Tester, test Leads and OEM/ODM capability, etc. we also demonstrated a series of new design products which AUTO series, RE830 series, Basic DIY series etc. Attracted a large number of visitors to consulting it. The exhibition was a great success.